Text List Object Properties "Lock"
Looking at the properties of a Text List Object using dump dictionary there is a property called “Lock” with a value of “0”. This is set in the Measurements pane of the Properties panel for the object and stops the object’s measurements and location from being changed. This is a common option for almost all objects (maybe all, I have not checked them all). The locked property does in fact apply to all objects, it is described briefly on this page. 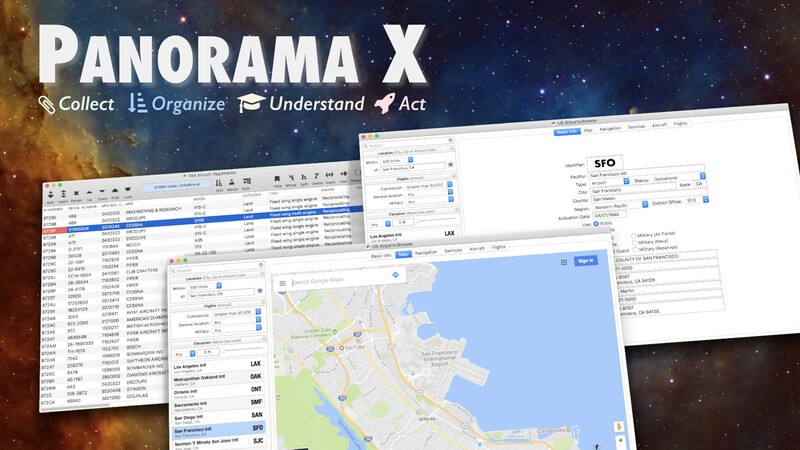 Panorama X: Describes the properties of graphic objects that can be modified by a program (dimensions, color, font, title, etc.). 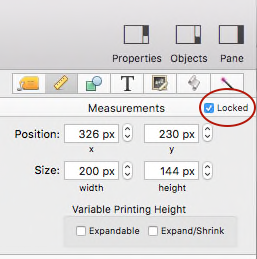 When an object is locked, you can’t change any of it’s attributes – it’s position, size, stroke, font, etc. If you get an object set up exactly the way you want it, you can lock it so that you don’t accidentally modify it. If you set the Objects>Ignore Locked Objects option then you can’t even click on a locked object to select it (you have to turn off this option if you want to unlock an object). Object locking works exactly the same as it did in Panorama 6. Unfortunately, it appears that there is no mention of locking objects in the Panorama X documentation, except for the Modifyable Object Properties page, which really doesn’t explain the feature. I have added a note to myself to document this. Note that locking an object only affects the user interface – even it is locked you can still modify an object with a program.